Everyone in the Jigalots is not only an experienced musician but also an experienced dancer. We perform with up to 5 people (including caller) to suit the occasion. When we play for a dance, we want our music to make you want to dance whether it’s gliding around the room in a dreamy waltz to bouncing around to an energetic hornpipe. When we play for people to listen, their feet will tap and some will do some impromptu dancing. The tunes we play are a richly mixed bag, meaning we can play for an event with predominantly English, Irish, Scottish or French music. We achieve varied sound textures with a great set of instruments including: melodeon, pipe & tabor, hurdy gurdy, concertina, keyboard or guitar, clarinets, and rauschpfeife. Fiz’s clarinets add harmony, rhythm and some cheekiness somewhere in a 4 octave range. Watch out! Fiz’s lower notes are licensed to thrill. Andy is the noisiest Jigalot by far. If you are in the audience, watch out for when he brings out his rauschpfeife to play. It’s German name literally means “noise pipe” which gives you a bit of a hint. Add to that the hurdy-gurdy (“angry wasp in a paper bag”) and one of the loudest 3-hole pipes (made of 1,000 year old Australian black oak) and you get the picture of why he’s the noisiest. Gary is the current holder of the coveted Jigalots ‘Snoring Frog’ trophy. Gary once asked an on duty nurse to get into bed with him when he really should have just left her attending his wounds! 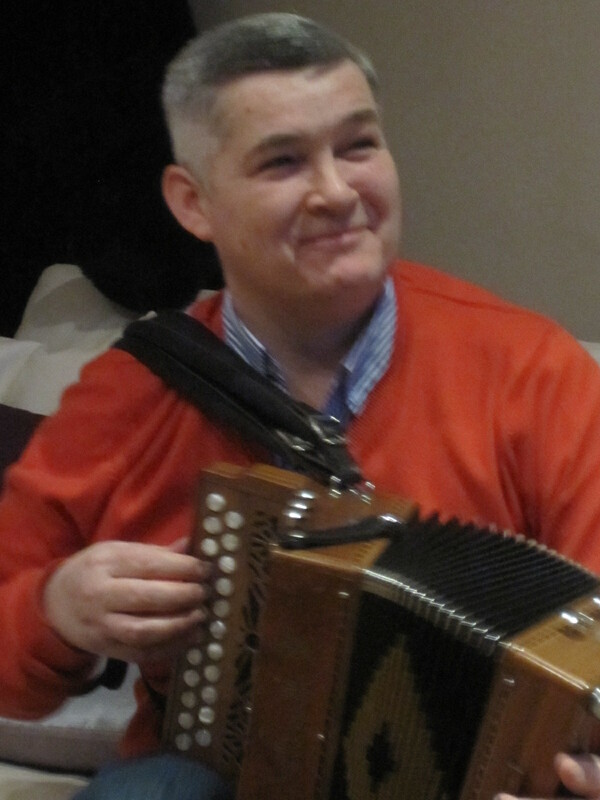 He loves to squeeze and please (on his Melodeon) That can be fun – providing he does not elaborate on his yellow bag (don’t ask!). 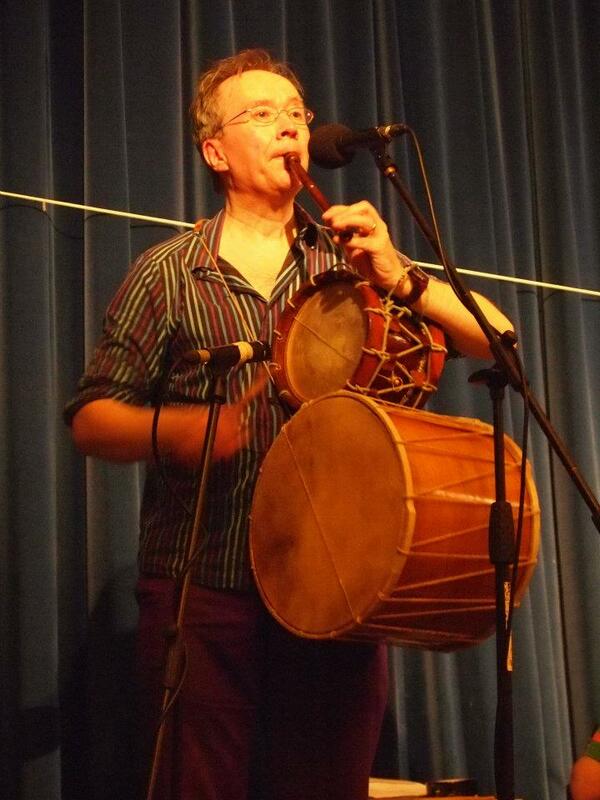 Rob has claimed to enjoy many a session with a hurdy gurdy, and he has done lots of fab fiddle playing for dance. 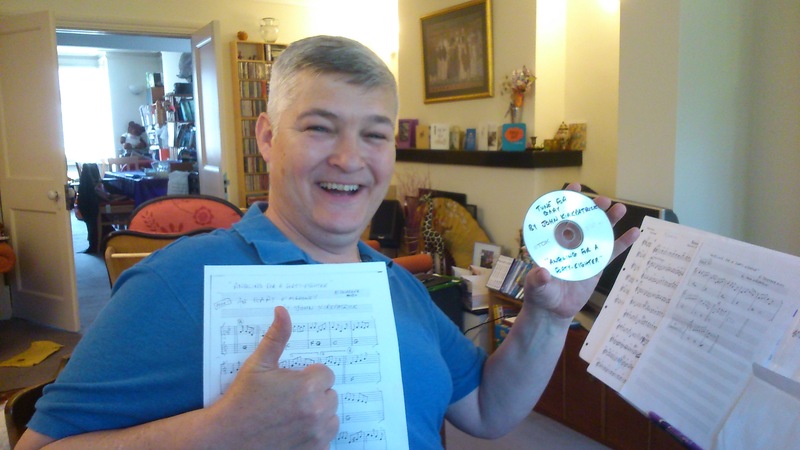 He brings super chords, drive and enthusiasm on his fiddles! 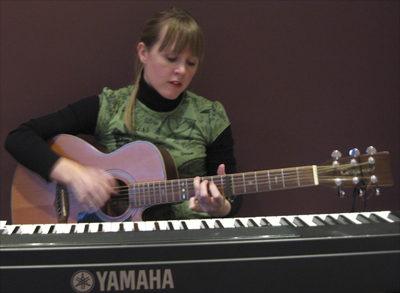 We are delighted to have Heather, the driving keyboard player of many a top flight band, giving great energetic pulse! The phrase ‘It’s always the quiet ones’ was actually written with Carolyn in mind. Don’t believe anything she tells you, ever. Apart from Carolyn generally being behind every wind-up in the band (apart from the hurdy-gurdy wheel), when she plays she is the driving rhythm on keyboard and guitar.